During the New Year holiday, at 10 a.m. on January 2, 2013, Prva TV broadcast a movie called The Cutter. The movie is abundant in explicit murder scenes – a man stabs a woman in the chest with a knife, having kissed her passionately; an elderly person is killed in the same way, while a man’s throat is slit. At the top right corner of the screen stood the rating, marking the movie as not appropriate for persons under the age of 16. Six months later, the Regulatory Authority for Electronic Media (REM) described the program in a report as inadequately rated. Had Prva placed an 18 rating on the program, the circumstances would have changed – the movie would have been broadcast only after midnight and the number of viewers would have decreased, along with advertising revenue. According to REM’s report, similar tricks were used by the B92, Pink and Happy televisions, and even by the Radio Television of Serbia (RTS) public service. Due to the violation of the Law on Electronic Media, i.e. the Broadcasters’ Code of Conduct, REM could have issued a warning to Prva TV, temporarily banned it from broadcasting or revoked its license. However, REM did not punish the broadcaster and to this day we are seeing inadequately rated films on certain TV channels. REM can launch misdemeanor proceedings against a broadcaster, which is a measure the regulating body uses the most. 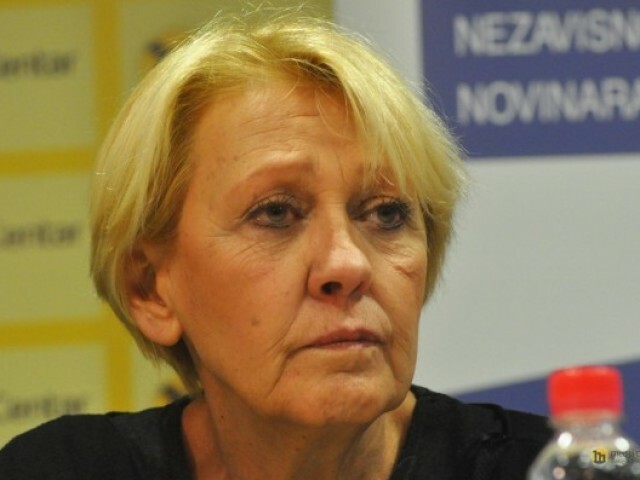 To check whether the same applies in cases of violation of minors’ rights, journalists of the Center for Investigative Journalism of Serbia (CINS) were given access by the Misdemeanor Court in Belgrade to more than 20 proceedings against free-to-air televisions completed in the period between 2015 and the end of 2017. REM had launched the proceedings due to unpermitted advertising, i.e. on wholly different grounds, but the journalists found that the regulatory body had specific data on the violations of regulations pertaining to the protection of minors, too. Namely, when it initiates court proceedings, REM submits to the court monitoring for the month in which the violations occurred, which clearly shows which articles of the law were violated and how many times. It also provides a report containing a detailed description of the violation for which the proceedings are initiated, often with photographs. An analysis by the CINS journalists revealed that the monitoring had identified violations that later did not appear in the reports. Thus in the aforementioned three-year period REM registered roughly 1,000 violations by the Pink, Happy, B92, RTS, and Prva televisions, pertaining to the clear rating of programs potentially harmful to minors. On that occasion REM did not issue any cautions, warnings, nor did it temporarily revoke licenses, and it did not take the broadcasters to court either. 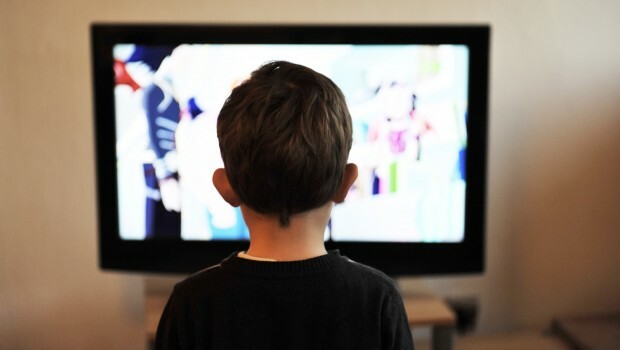 The obligation under which televisions have to label programs that might jeopardize children and youth, with colored circles and adequate age rating, as well as to take care of the time when a program is broadcast, was introduced nearly 12 years ago. For a while REM did not have the technical means to monitor whether televisions were following these rules, but a software application made that possible as of 2011. In February 2016, Prva TV failed to adequately rate content 339 times, judging by the monitoring of its work. The report REM submitted does not state when and how these omissions were made, because no proceedings were launched. Prva was tried for 75 violations pertaining to the length and manner of broadcasting commercials and direct response marketing. Before Prva, in November 2015 Happy TV committed 191 violations, while RTS committed 153. Happy did the same thing 176 times in April 2016, again without any consequences. The violations were registered to a much lesser extent on B92 TV – nine times over the course of three months in 2015, and Pink TV in September that year – 10 times. Besides the analyzed sample, the CINS journalists found just one example where REM initiated proceedings due to the violation of minors’ rights – against Happy in late 2016, but the proceedings were suspended two years later as they had exceeded the statute of limitations. Gordana Suša, from 2010 to 2016 a member of the REM Council – the decision-making body in the regulatory authority – in an interview with CINS explained that the rating had been regulated only with amendments to the law in 2015 and that it had taken the televisions a while to get used to it, which was why their violations had been tolerated. The fact that REM did not launch proceedings later either, in her opinion, means it was doing the televisions a favor. The REM members did not respond to the journalists’ request for an interview, nor did they answer any questions. Many of the misdemeanor proceedings REM initiates against free-to-air televisions on other occasions exceed the statute of limitations. From 2015 to the end of 2017, REM submitted 181 requests for launching misdemeanor proceedings, according to data from the Belgrade court. Nearly all of them pertained to violations in television advertising. Out of the 181 cases 112 were resolved, keeping in mind that some were merged. Out of that number, after two years had passed since the violation committed, more than two thirds exceeded the statute of limitations, or the judges dismissed the requests for proceedings. REM often launched proceedings nine or more months after a violation, while the court in some cases needed as many as several months to hand a case to a judge so that the trial could start. The Misdemeanor Court replied that “the allegations made in the complaint are arbitrary, untrue and unchecked,” because REM had not even examined the cases it was complaining about, to find the reasons why the process was taking so long. A judge complained that REM had reported broadcasters too late – in one case 10 months later and in another nine months later, thereby cutting the court’s time to process the case in half. REM’s practice, as the judge found in other cases, is to submit a request for proceedings close to the end of the one-year deadline, and oftentimes even after that. In those cases the judge dismissed the requests due to the relative exceeding of the statute of limitations, reads the court’s reply to REM. Gordana Suša says the volume of REM employees’ work is to blame for the delayed action. That is why, she adds, proceedings were not launched for each individual violation committed by a broadcaster, but rather, for example, one misdemeanor case was initiated for 1,000 violations by one television. “By doing so we were, objectively, breaking the law,” added Suša. Although rare, the fines handed down to televisions in misdemeanor proceedings can amount to millions, according to the Misdemeanor Court data. Thus in April 2015 the REM software and the authority’s employees identified violations on the TV shows Magazin In and Sunday Afternoon with Lea Kiš, broadcast on Pink. The female hosts gave guests in the studio the sponsors’ products, whereby the television failed to separate television advertising from direct response marketing, REM said. Because of this and other violations, Pink and its editor and owner Željko Mitrović, ended up in court, which handed them down a 3.1 million dinar fine. From 2015 till the end of 2017, among convicted free-to-air televisions, Pink and Mitrović were convicted most frequently – nine times – and were handed down penalties, warnings and fines adding up to more than 16.4 million dinars. During that time, the state Serbian Export Credit and Insurance Agency (AOFI) gave Pink several loans, which CINS reported on. Thus between 2015 and 2017 the AOFI loaned Pink close to 1.3 billion dinars, whereas in 2014 the state agency practically provided guarantees for the television’s business. Pink did not answer the questions sent by the CINS journalists, but in addressing the court it did point out REM’s omissions. So in certain proceedings before the Misdemeanor Court REM incorrectly cited articles of the Law on Electronic Media which became invalid in May 2016 with the coming into force of the new Advertising Law. The CINS journalists found dozens of such examples in the proceedings against the televisions Pink, Prva, Happy and B92. In some of them it was precisely REM’s omission that provided grounds for acquitting televisions. REM jedan od rakova ovog drustva.